They're not just for freeway driving anymore. Those self-driving cars from Google are now roaming city streets, whirling through boulevards, and using technology to avoid obstacles in their path. Google let us roll around in the latest driverless vehicles, with Chris Urmson, director of the Self-Driving Car Project, who pointed out that, while new technology makes people nervous, "after five minutes, people will say, that's all it does? This will be common, once you get used to it." Strangely, the self-driving update happened on the same day the authors of the book "Freakonomics," Steven Levitt and Stephen Dubner, released their own questions (from their newest book) about the driverless cars. For example: How many jobs will they eliminate? And will we "binge drink" because we won't have to drive? According to Alain Bertaud of NYU, some jobs will likely be lost, "especially, taxi drivers at airports," but not for some time -- after all, he says, self-driving cars will take awhile to catch on. As for the drinking, Susan Shaheen, the Co-Director of the Transportation Sustainability Research Center at UC Berkeley, says, "If someone wants to drink, this allows them to drink safely, without affecting other individuals." Basically, Google is asking for patience as the cars gradually become part of our lives. Patience, and acceptance. 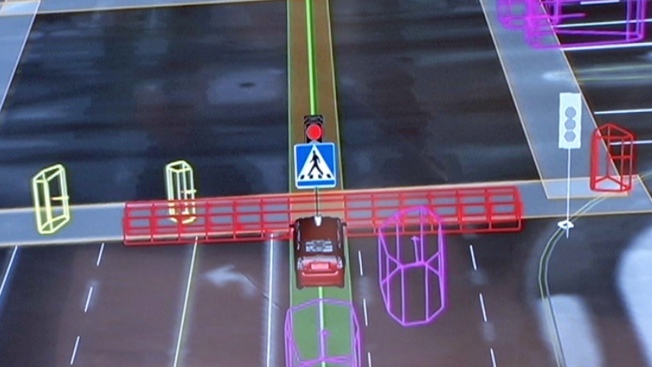 They claim self-driving cars will be much safer, once we give the technology a chance.